Nonabrasive, low-linting and low-extractable wipers for delicate task wiping. Perfect for light cleaning tasks in the laboratory. Antistatic dispensing reduces lint and electrostatic discharge. Convenient POP-UP* Box. Towel/Wipe Type: Dry Wipes; Application: Laboratory; Applicable Material: Glass; Metal; Plastic; Stainless Steel; Material(s): Tissue. Perfect for light cleaning tasks. 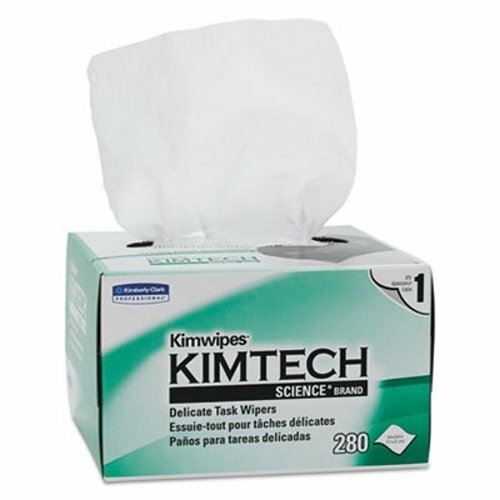 If you have any questions about this product by Kimberly-Clark Professional, contact us by completing and submitting the form below. If you are looking for a specif part number, please include it with your message. Chix Masslinn Dust Cloths, 24 x 16, Yellow - Includes 400 dust cloths. Pro-Clean Basics A51757 Bar Towels, 50 lb. Box, 16" x 19"
Pro-Clean Basics A73117 Microfiber General Purpose Cleaning Cloth Pallet, Light Weight, 16" x 16"
Pro-Clean Basics A73118 Microfiber General Purpose Cleaning Cloth Pallet, Heavy Weight, 12" x 12"